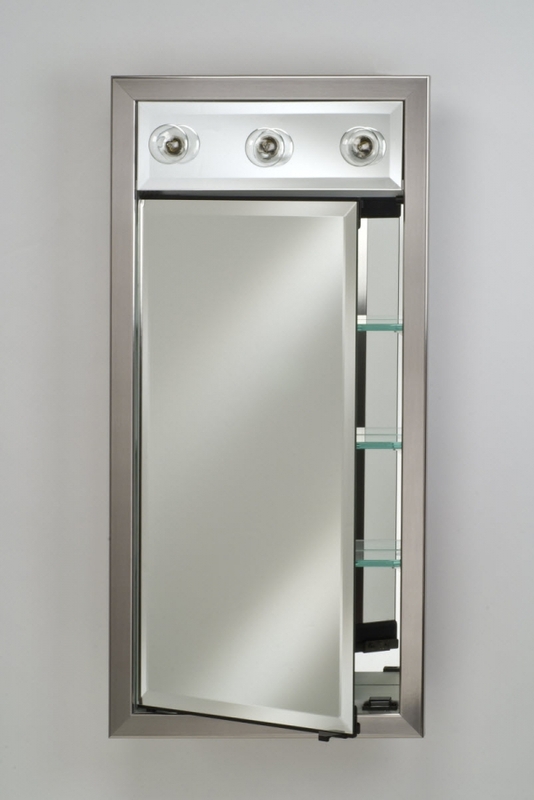 This contemporary styled medicine cabinet makes a great choice for the bathroom with its multi-functionality. 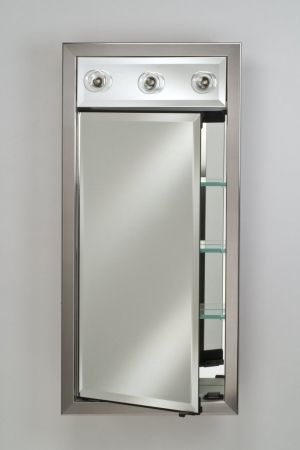 This piece provides space for personal reflection, ample storage space and lighting for the room. The frame and light fixtures are available in a wide variety of finish color choices to best match the decor.